Want to know more about the state of the art of space exploration technology? Bursting with questions on how rovers and satellites work? 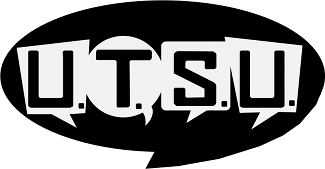 Not sure what to ask, but just want to learn more? 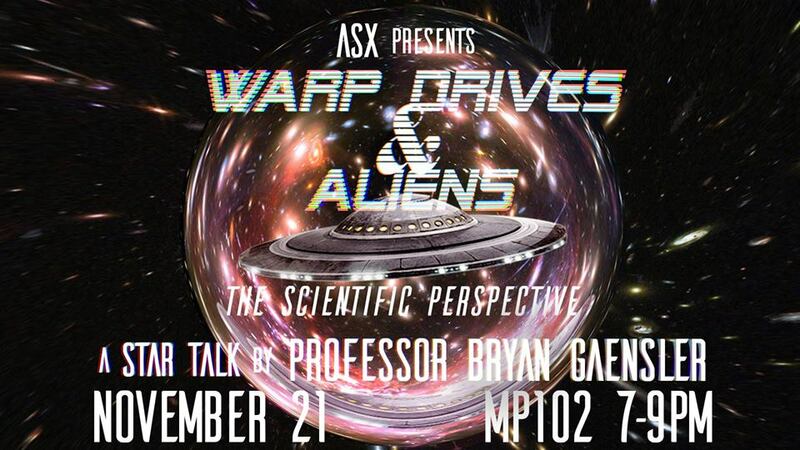 Then come on down to ASX’s graduate student panel! This 13th of March, we’re featuring three U of T M.A.Sc candidates, each one with applied experience in space exploration technology. Feel free to come with your own questions, or lend an ear to our guided discussion. As usual, everyone with any amount of background knowledge is welcome! Katie Gwozdecky is a M.A.Sc candidate at the U of T Institute for Aerospace Studies’s Space Flight Laboratory. As an undergraduate, she was heavily involved with the University of Toronto Aerospace Team, eventually serving as its Director. She graduated with a B.A.Sc from U of T (Mech 1T7 + PEY). Johnny (Ze) Wang is a M.A.Sc candidate at U of T’s Department of Electrical and Computer Engineering. He is the current Autonomous Traversal Executive at the U of T Robotics for Space Exploration Team, having formerly served as their Project Lead for Satellite Systems Design. He graduated with a B.A.Sc from U of T (EngSci 1T6 + PEY). Christopher Lucasius is a M.A.Sc candidate at U of T’s Department of Electrical and Computer Engineering. He is the current President of the U of T Robotics for Space Exploration Team, and Systems Engineering Team Lead at aUToronto (a self-driving car team). He graduated with a B.A.Sc from U of T (EngSci 1T7 + PEY). For more information please check out our Facebook event page! Calling space enthusiasts near and far! 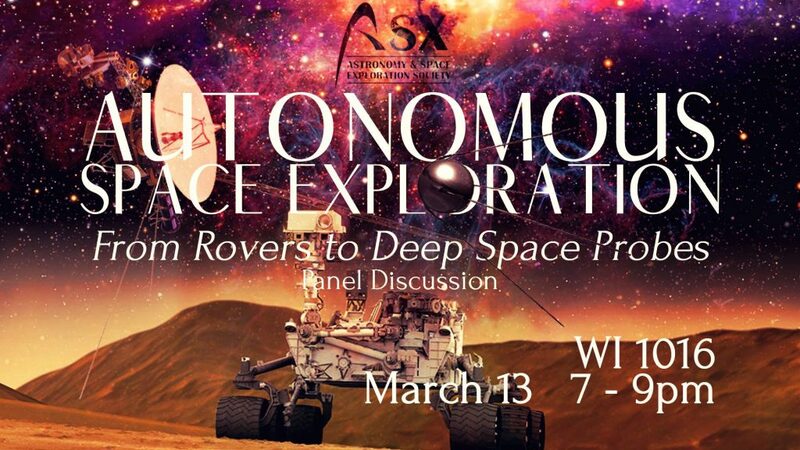 It’s your favourite event of the year: ASX’s Annual Symposium is back for its 16th rendition, and have we got a show for you! 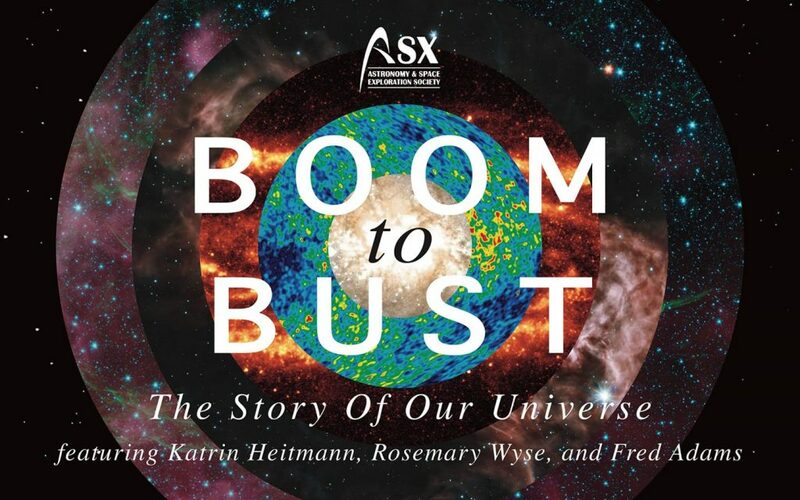 Join distinguished academics Dr. Katrin Heitmann (University of Chicago), Dr. Rosemary Wyse (Johns Hopkins University), and Dr. Fred Adams (University of Michigan) this February 15th as they take you on an epic journey from the very beginning of our universe, all the way to the death of the final star. Admission is free for all students — of any institution — with Photo ID (still be sure to reserve a seat on the Eventbrite page below), and $10 otherwise. Free refreshments shall be provided. Tickets are on sale online and will be available at the door. Hope to see all of you there! Dr. Katrin Heitmann is a physicist at the United States’ Argonne National Lab and a Senior Member of the Kavli Institute for Cosmological Physics at the University of Chicago. Her research focuses on cosmology and in particular on extreme-scale simulations of the evolution of the Universe. Dr. Rosemary Wyse is the Alumni Centennial Professor at Johns Hopkins University’s Department of Physics & Astronomy. Her research focus is in the field of galaxy formation and evolution, with emphases on resolved stellar populations and the nature of dark matter. Dr. Katrin Heitmann: Cosmology — the study of the origin, evolution, and constituents of the Universe — is now entering one of its most scientifically exciting phases. Three decades of surveying the sky have culminated in the celebrated “Standard Model of Cosmology’’. As part of the Standard Model, we have built a detailed picture of the very first moments after the Universe was born and how tiny fluctuations then grew into the complex structures that we observe today. In this talk I will give an introduction to our current understanding of the physics of the very early Universe and how we use measurements of the cosmic microwave background to develop this understanding. I will then discuss how these measurements not only tell us about the early Universe but also about the make-up of the Universe. Finally, I will show how the power of the world’s largest supercomputers is harnessed to evolve cosmological structure from early times to the current epoch, providing a faithful view of the Universe as seen through a telescope that is currently under construction, the Large Synoptic Survey Telescope. Dr. Rosemary Wyse: I will discuss the evolution of galaxies from the epoch at which thecosmic rate of star formation peaked, to the present day. Stars of mass similar to that of our Sun (and lower) that formed during this phase are still shining and can be studied in our own Milky Way and in its companion galaxies. Stars retain memory of the conditions at their birth and old stars nearby can provide insight into the Universe at early epochs. We can also observe distant galaxies in their youth, at these early times. We thus have two complementary approaches to unravelling how galaxies form and evolve. I will discuss some results from these two approaches, particularly relating to the assembly history of galaxies and to the nature of the dark matter that dominates the growth of structure. Dr. Fred Adams: This talk considers the future evolution of the universe over time scales that greatly exceed the current cosmic age. The future timeline plays out on many different scales, so that planets, stars, galaxies, and the universe itself all experience a death-like closure. If the energy density of the universe continues to be dominated by its vacuum state, cosmic acceleration has dramatic near-term consequences. On longer time scales, stellar evolution plays itself out and transforms hydrogen burning stars into degenerate stellar remnants, such as white dwarfs and neutron stars. As the galaxy ages, new physical processes come on-line, including star formation through brown dwarf collisions, dark matter accretion by white dwarfs, and capture of stars by the central black holes. Galactic structure changes via collisions, dynamical relaxation, and dark matter annihilation. After the demise of the galaxy, orphaned stellar remnants shine through the decay of their constituent nucleons, but eventually evaporate away. The black holes survive this epoch of proton decay, but lose their mass/energy on longer times scales as they emit Hawking radiation. After the largest black holes are gone, the universe slowly slides into darkness. Hey everybody! 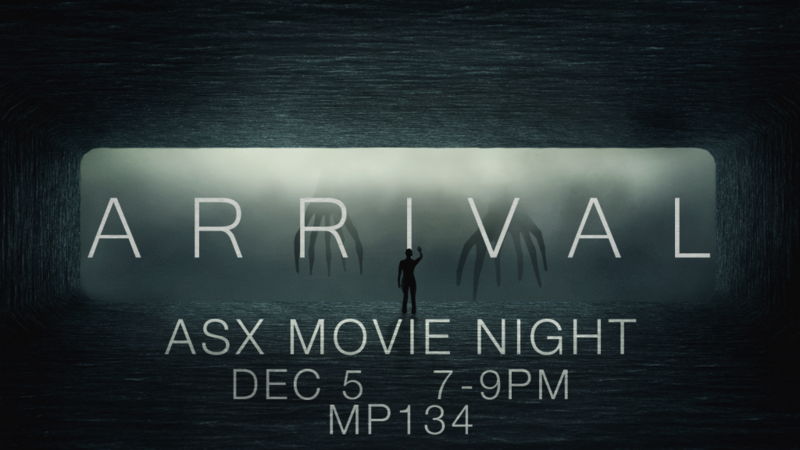 We at ASX want to do something to take your minds off of exams, and heck even life in general by hosting a screening of Arrival (2016). So come over, popcorn and drinks will be provided, and enjoy a movie with us! Telescope observing: 8:00 PM-9:00 PM on 14th floor of McLennan Physical Laboratories (MP) (weather permitting) — you will be guided to the telescopes. Abstract: Science fiction and science are both wondrous and inspiring, albeit in very different ways. At its best, science fiction asks profound questions about the human condition. In contrast, science asks — and often answers — even more profound questions about the very nature of matter, space and time. I am both a professional astrophysicist and a science-fiction fan, and sometimes my two great passions converge. Specifically, two of the ever-present themes explored in both fact and fiction are the prospect of journeying to other stars, and the possibility of life on other worlds. In this presentation, I will provide an overview of the latest thinking on interstellar travel and on the search for alien life. The remarkable frontiers of current research provide a rich canvas to tell stories of our place in the cosmos. 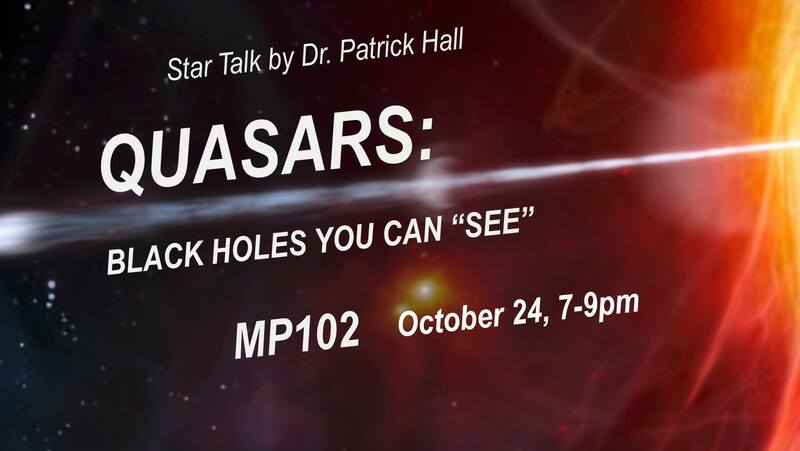 About the Speaker: This star talk features Dr. Patrick Hall, a Ph.D. graduate in astronomy and astrophysics. Dr. Hall is currently a professor at York University and a contributor to the SAO/NASA Astrophysics Data System. He specializes in quasars and blackholes, particularly in the outflows of gas and light from these active bodies. Abstract: Quasars are the brightest objects in our Universe. A quasar is a rotating disk as big as our solar system and hotter than the Sun, formed when matter spirals into a supermassive black hole at the centre of a galaxy. Dr. Hall will discuss these fascinating objects and how they tap the strong gravity of black holes.